A shortage of foster homes left dozens of vulnerable children alone in hotel rooms, but Governor Brown and DHS ignored the problem until a lawsuit forced their hand. Now they’re promising to fix the problem – but not for two years. The state’s child welfare program in desperation has increasingly relied upon hotels, state offices and even youth detention centers to shelter children in recent years. The main reason: Child welfare officials didn’t come up with enough foster parents willing and trained to care for the many Oregon children removed from their parents. It’s an ambitious goal, given the scope of the problem outlined in a scathing audit released last month. State auditors found caseworkers placed 189 children in hotels and other temporary housing when they could not find suitable foster homes between September 2016 and July 2017. Oregon officials who oversee child welfare have considered an aspirational plan to stop housing foster children in hotels, according to information obtained by The Oregonian/OregonLive. It would require state child welfare officials to quickly expand the pool of foster homes capable of housing children. According to the agreement, the state human services agency “will only temporarily lodge a foster child or young adult after determining there is no possibility of supporting the foster child or young adult in a family member’s home with appropriate safety planning” or in other homes or facilities in the foster care system. 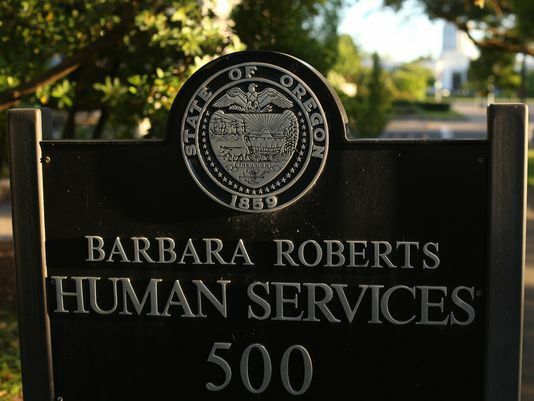 State child welfare officials previously considered eliminating the use of hotels completely, which would have been challenging given the state’s severe shortage of good foster homes, The Oregonian/OregonLive reported. Although the final agreement gives the state a bit of leeway to use hotels, it will still test the state’s ability to recruit new foster parents. “State child welfare officials and children’s advocates agreed that we all want to see children placed in stable and safe home-like settings that are close to their family and school,” said Richard Vangelisti, guardian ad litem for the girls, in a statement released Tuesday. Under the agreement, the state will hire former Multnomah County human services director Liesl Wendt as a technical adviser to conduct an initial evaluation of the root causes of the child welfare program’s reliance on hotels and other temporary placements. She will then help the state implement changes to address those underlying problems. Wendt can be paid up to $250,000 annually, including reimbursements for expenses, the agreement says.